In 1870, seven women joined together to ask of themselves and of the Dayton community what they could do to “elevate women in our midst.” Their response became the foundation for YWCA Dayton. As part of the oldest and largest women’s organization in the nation, YWCA Dayton has been at the forefront of the most pressing social movements for nearly 150 years — from voting rights to civil rights, from affordable housing to pay equity, from violence prevention to health care reform. Today, we combine programming and advocacy to generate institutional change in three key areas: health and safety of women and girls, economic advancement of women and girls, and racial justice and civil rights. To put that in perspective: We’ve been On A Mission for all women and children since five years after the Civil War ended. Learn more by exploring the timeline below. Who are we? What do we do? We are catalysts for social change, always ready to take our place at the forefront of community needs. Mrs. A.W. 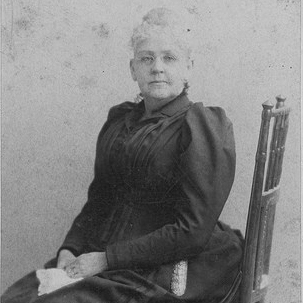 Beall, Mrs. J.L. Davis, Mrs. Mary Hammond, Mrs. J.P. Jacobs, Mrs. Ann L. Martin, Miss Mary Mitchell and Mrs. George Hoglen ask what they might do to “elevate women in our midst.” Their answer becomes the Women’s Christian Association of Dayton, Ohio, which is formally organized on Nov. 26, 1870. Susan Winters is named the Association’s first president, a position she will hold for 21 years. The Widows’ Home opens (at what is now Miami Valley Hospital) to provide shelter and support to destitute and single women; an Employment Committee assists residents in finding jobs, food, and clothing. The Widows’ Home is owned and operated by YWCA Dayton until July 1961, when it becomes its own separate nonprofit that still operates today. Two Industrial Schools are developed to teach in-need girls sewing and leadership skills. More than 1,000 girls enroll during the 1870s. The Martha Jane Dickey School was located in downtown Dayton, while the Amelia Louisa Connelly School was located in East Dayton. An English as a Second Language program for Mongolian refugee women begins, later becoming our Americanization Department (1916) and then our International Institute (1924). The Widows’ Home moves to a new location on Findlay Street, where it remains today. Our first Girls’ Home and a lunchroom open, as does the Women’s Exchange, providing ways for women to earn income by using their skills in cooking, baking, and handiwork. It continues for more than 30 years. The Educational Department opens with classes in spelling, penmanship, and arithmetic (sewing courses followed). Tuition is $1 per year. We open the nation’s first YWCA branch for African-American women and girls. 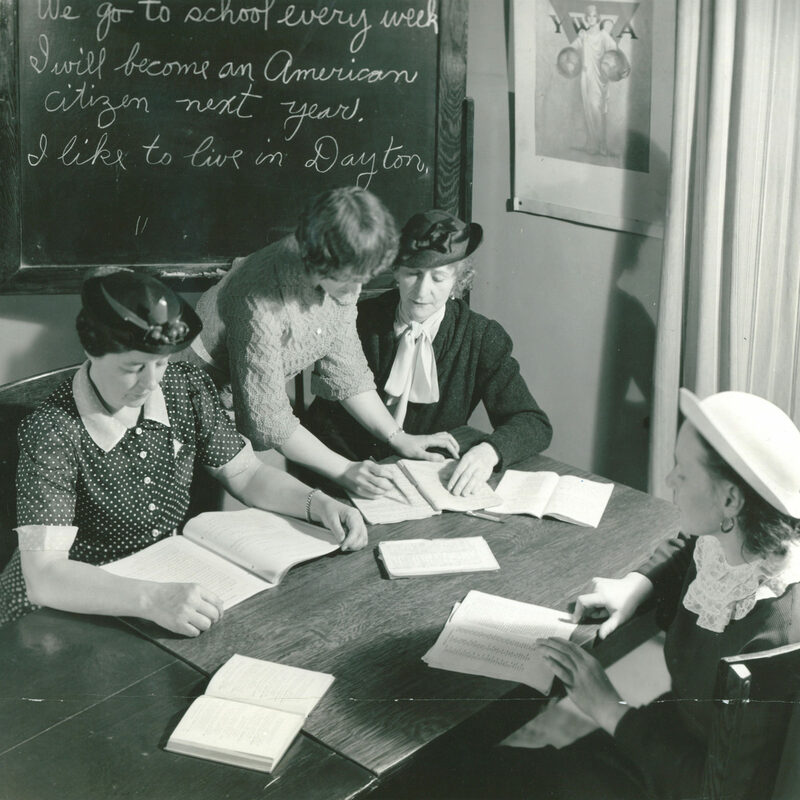 The Young Women’s Department opens, offering classes in grammar, bookkeeping, stenography, choral training, Latin, German, English literature, dressmaking, wood carving, drawing, and geography. The Busy Girls’ Half Hour program is started at National Cash Register to provide classes in health, dress, and morals and provide women with opportunities for community service. Our first newsletter, the W.C.A. Record, is published in October. Our Kitchen Garden program starts, filling a gap in services for pre-teen and teenage girls. A room is set aside for travelers to use for rest; it later becomes a separate national organization, the Travelers’ Aid Society. Our East Dayton Branch opens at Fifth and Columbus streets. It provides a third Industrial School, a Mothers’ Club, sewing classes, a reading circle, and social entertainments. First Home for Self-Supporting Young Women opens with space for 30. Regular boarders paid $2.50-$3 per week, including breakfast and supper; transients and business women, 25 cents per day; and non-business women, 50 cents per day. W.C.A. membership sees highest numbers at 1,438 adults and 164 juniors. 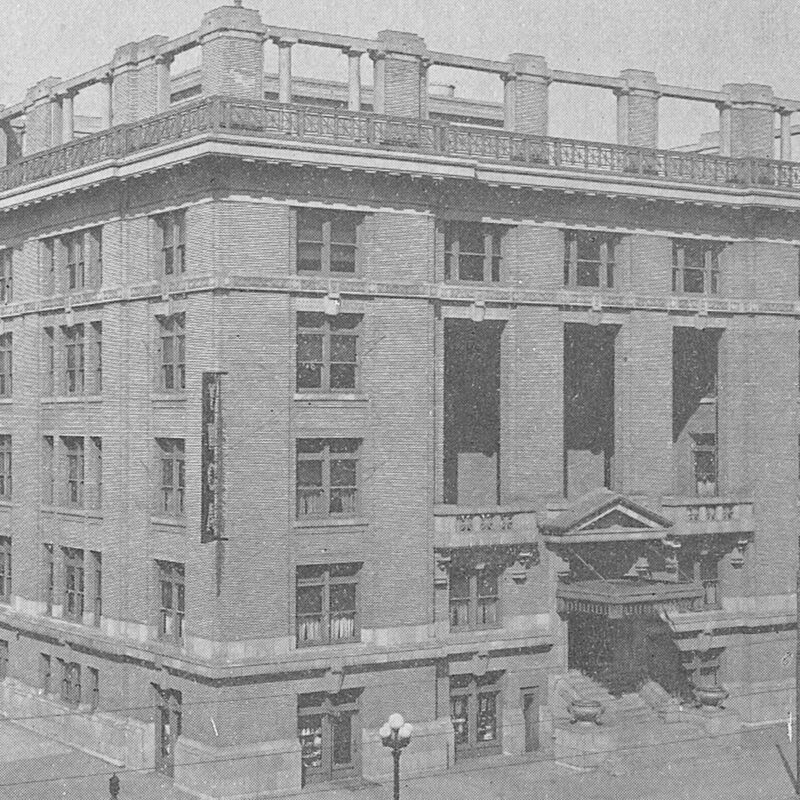 The ground for what would become our Central Building – still in operation today – is purchased on the corner of West Third and North Wilkinson streets. W.C.A. officially changes name to Young Women’s Christian Association. Cornerstone for new central building laid on Sept. 29, 1912. Seven Camp Fire groups are organized. Central building at 141 W. Third St. opens with five floors; still functions as our main office today. 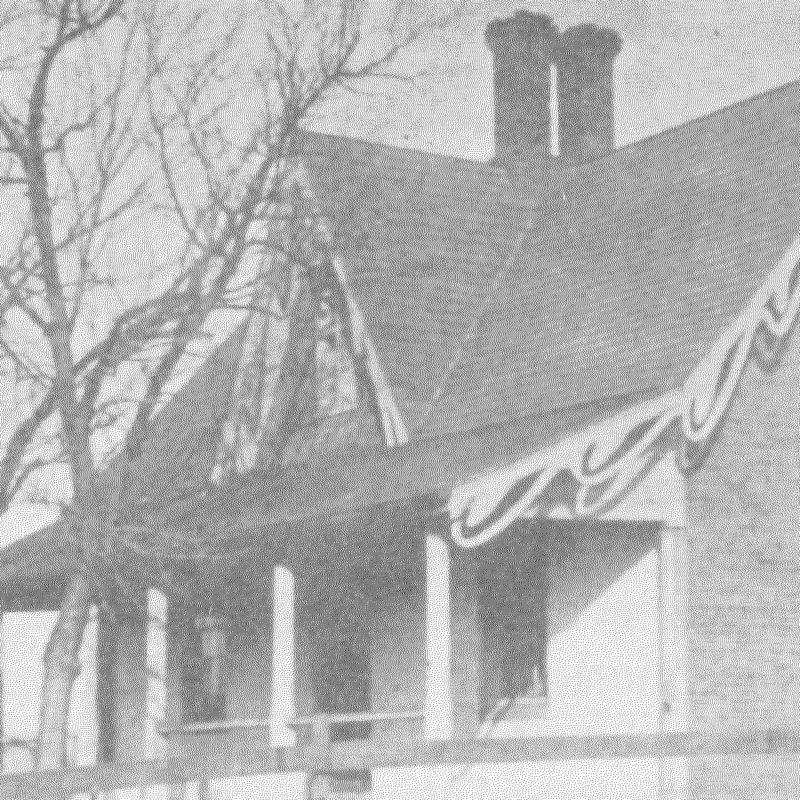 It was constructed by Dayton Structural and Concrete Co.
A Hostess House is built at Wright Field to help with the World War I effort. A Community House opens at Third and Summit streets for use by the Americanization Department. Primary populations served included immigrants from Hungary, Romania, and Poland. Girl Reserves, a nationwide program for teen girls, is established at YWCA Dayton. Two additional floors added to our Central Building to accommodate incredible demand for housing. The International Institute headquarters are moved to 10 N. Jefferson St. with a staff of five, including two nationality workers who could speak multiple languages. A center is opened at Summit and Dakota streets. The Montgomery County Branch of Girl Reserves is officially organized; clubs also operate in Miamisburg, Fairmont, Germantown, West Carrollton, and Johnsville. By 1929, there are 14 Girl Reserve clubs with a membership of 400 girls and 130 adult members. First African-American woman, Mabel Evens, joins our Board of Directors. Daytime School organized to provide free recreational and educational opportunities for young adults age 18-24. There were 31 classes and 25 faculty, with more than 300 enrolled in its first year. The Vocational Department interviews 2,429 girls needing assistance as the Great Depression rages on. The Cosmopolitan Club is organized for women of foreign background. The Harry Kuhns home at 236 S. Summit St. is purchased for use by the West Dayton Branch. Its formal opening takes place Oct. 2-3, 1943. Camp Wy-Ca-Key is founded in Morrow, Ohio, after a site near Fort Ancient is purchased for $25,000. A contest was promoted to find a name; the winning title used the YWCA initials plus the word “key” to indicate that camping would be a key to many new experiences. The camp was dedicated June 17, 1949. “Career Clinic” program introduced for professional women. First program in Montgomery County specifically designed for unwed mothers begins.